Photo by Peter Craven, Wikimedia Commons. 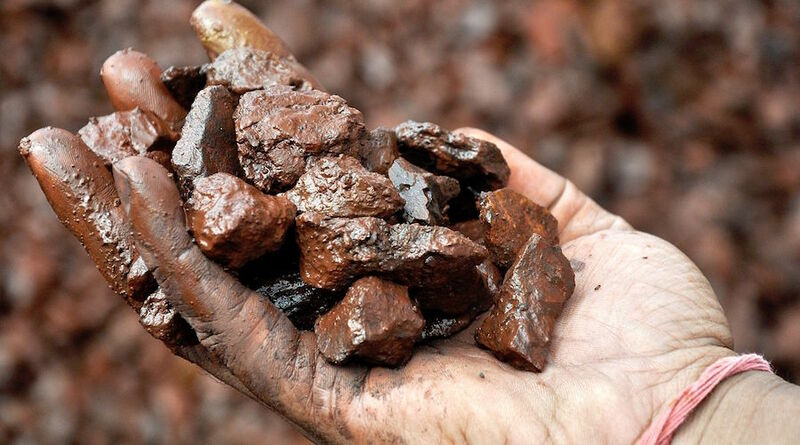 LONDON, Aug 16 (Reuters) – London-listed Anglo Pacific Group has bought a 4.25 percent stake in Canada's Labrador Iron Ore Royalty Corp (LIORC) for $50 million and hopes to do two more deals this year to broaden its portfolio, the company said on Thursday. Anglo Pacific shares were up 2.5 percent by 1053 GMT, while the wider sector had gained 1 percent. Chief executive Julian Treger said the deal locked on to Chinese demand for high-quality iron ore, used in steel-making, which has traded at a premium over lower-quality, more polluting grades as the world's biggest commodity market seeks to reduce its emissions. He said the group, the only mining royalties company listed in London, aimed to do further deals. "Our intention would be to make another two acquisitions this year, one development royalty and one producing royalty," he said in a telephone interview. "Our intention would be to make another two acquisitions this year." A mining royalty provides the holder with the right to a share of revenue, profit or production. Historically royalties resulted from the sale of a mineral property, but increasingly they are created by operators or developers as a source of finance. Anglo Pacific's profits have risen as miners struggling to raise capital on equity markets have increased their use of development royalties. The company in March said its income from mining royalties increased 90 percent last year and its free cash flow more than tripled, positioning it to acquire a broader range of royalty assets. Its flagship royalty is for the Kestrel mine in Australia, which Rio Tinto sold early this year as it ended its exposure to coal production. Kestrel's output has since risen, boosting Anglo Pacific's earnings as it retained the royalty despite Rio's mine sale. Thursday's deal cuts Anglo Pacific's percentage exposure to coking coal to 41 percent from 49 percent, while its iron ore exposure rises to 20 percent from 5 percent. LIORC has a 15 percent stake in the Iron Ore Company of Canada (IOC), which is 59 percent owned by Rio Tinto and 26 percent by Japan's Mitsubishi Corporation. Sources say Rio Tinto is looking at a sale or a public listing of the IOC unit, which Treger said could give LIORC a further boost. Rio Tinto said it could not comment.